The fields and gardens of UCSC Farm and Garden abound with medicinal plants. Come learn how to use these common plants for every day maladies and health promotion. 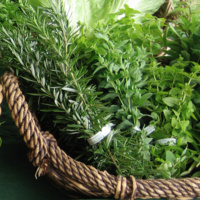 In this workshop led by Darren Huckle, L.Ac, DAOM, you will learn how these herbs can be used to promote restful sleep, combat stress, soothe or strengthen digestion, heal wounds, support menstrual cycles and much more. You will leave the class with many plant friends to support your health and well being. Cost of the workshop is $30 general admission (pre-registered) or $40 (at the door); $20 for Friends of the Farm & Garden members, and certified UC Master Gardeners (pre-registered) or $30 (at the door); $15 for beginning farmers and limited-income participants (pre-registered) or $20 (at the door), $5 for UCSC students. Free for life members of the Friends of the Farm & Garden and active Farm & Garden docents.